Caddy bags have arrived! Have you received your starter roll of caddy-bags for use with food waste? These corn starch bags will easily break down into compost and are designed to line the food caddy and make the whole process of recycling food waste less messy. But if you are happy using newspaper to wrap food waste then carry on with that system. 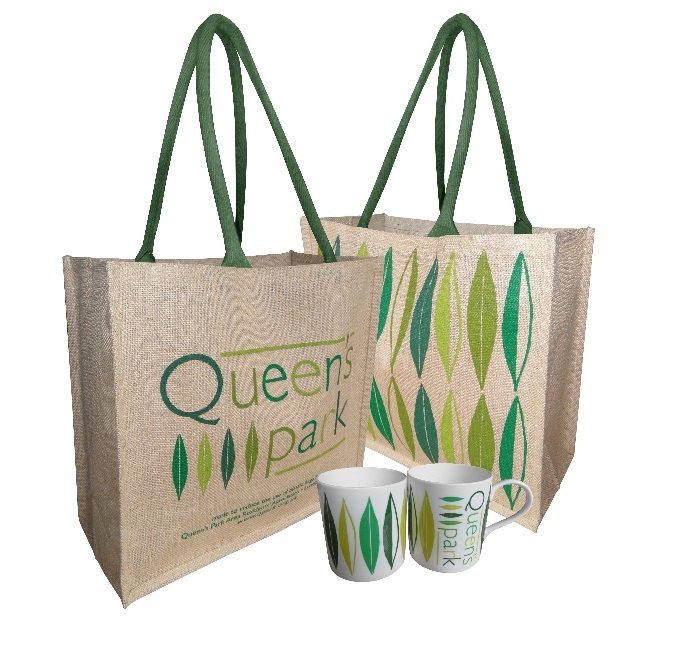 Get more bags from www.caddyliners.com or by phoning 0844 472 1871. If you don’t have a caddy you can collect one from the Abbey Road Reuse and Recycling Centre while stocks last. 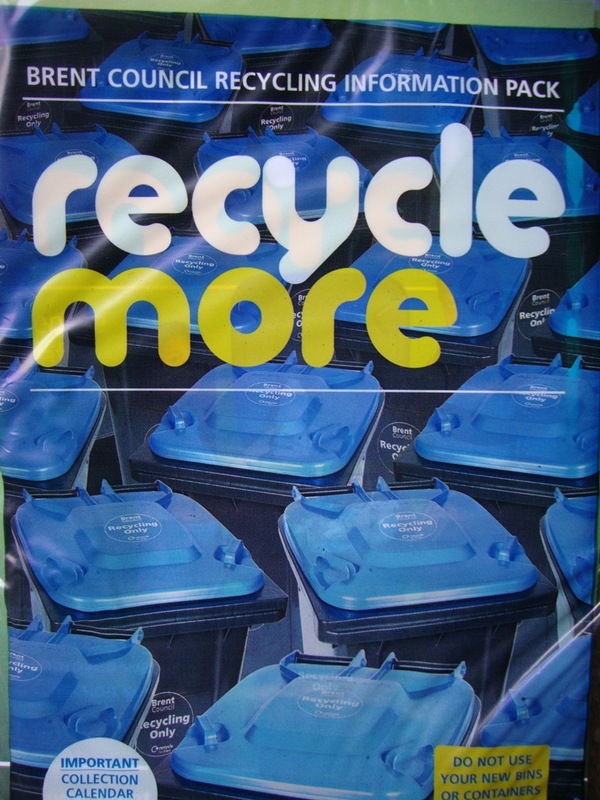 Our recycling system changed at the beginning of October. 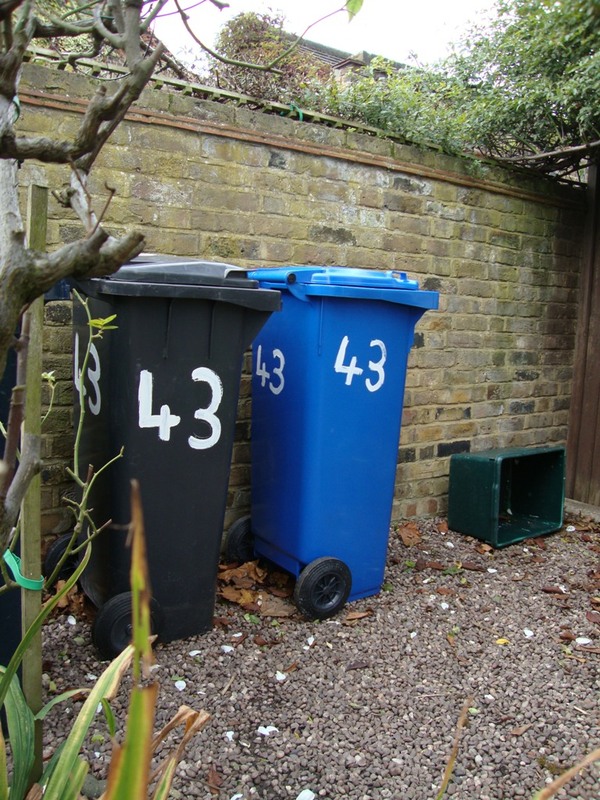 Instead of kerb side sorting from the green boxes we now have blue-lidded bins for mixed dry recycling. 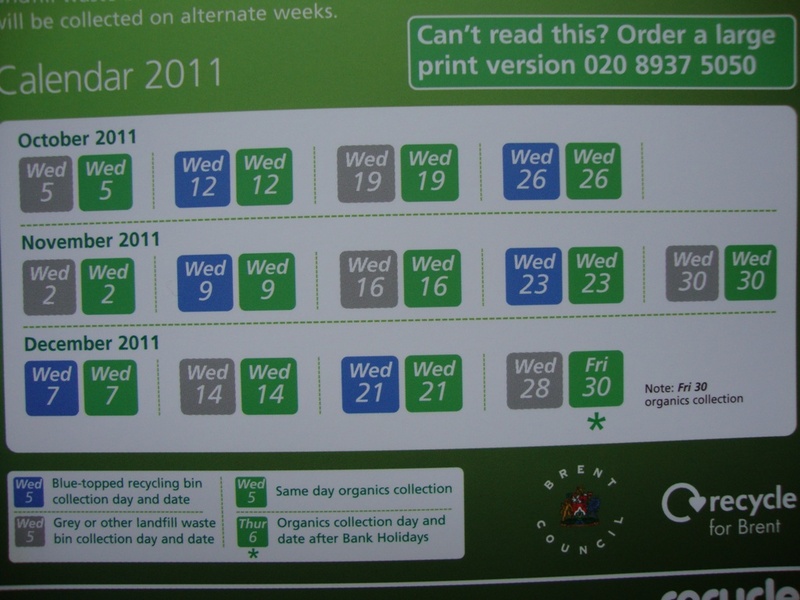 The other big change is that only the green (organic waste) bin is collected weekly. 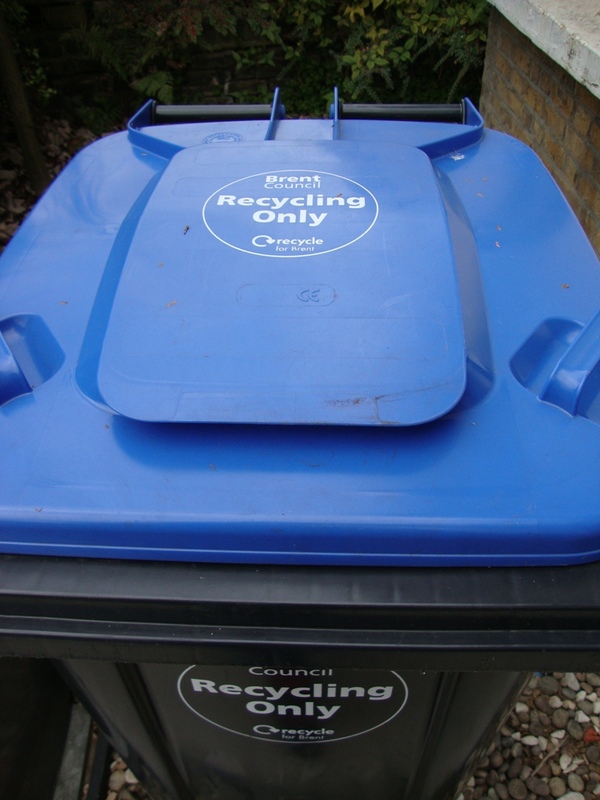 The blue and grey (landfill) bins are collected fortnightly – the grey bin one week and the blue the next. 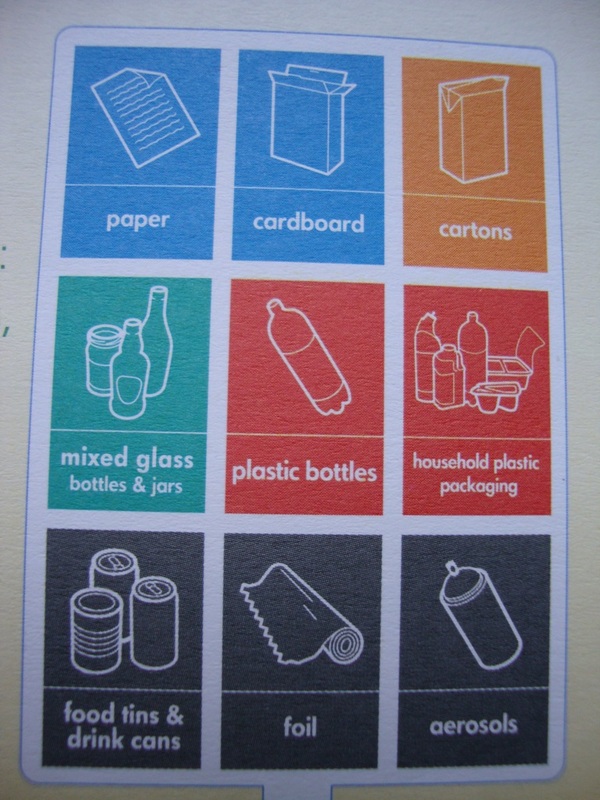 So this is what goes in the blue bin – paper, card (NEW), glass bottles and jars, food and drink cartons (NEW), plastic bottles, other hard household plastics (NEW), metal tins and cans, aluminium foil, aerosols. 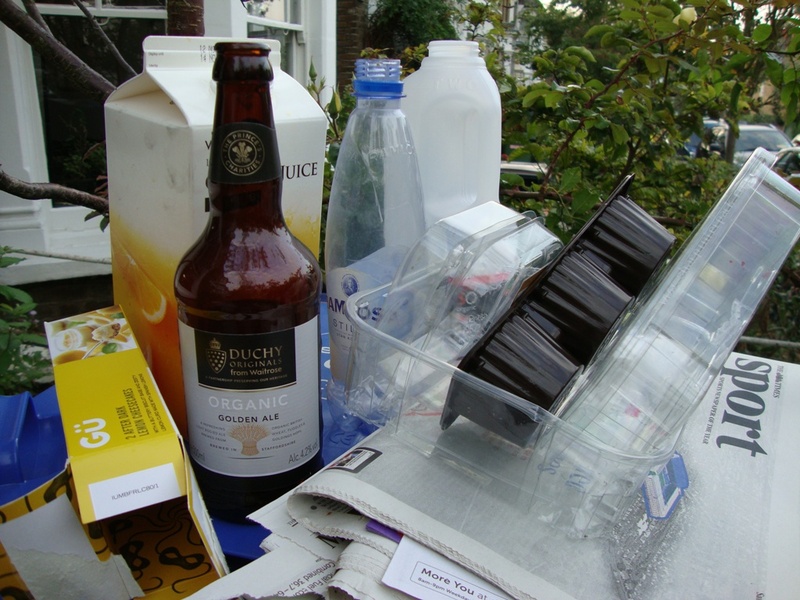 We can’t put in soft plastics – like polythene bags, carrier bags, cling film, plastic seals over ready meals. 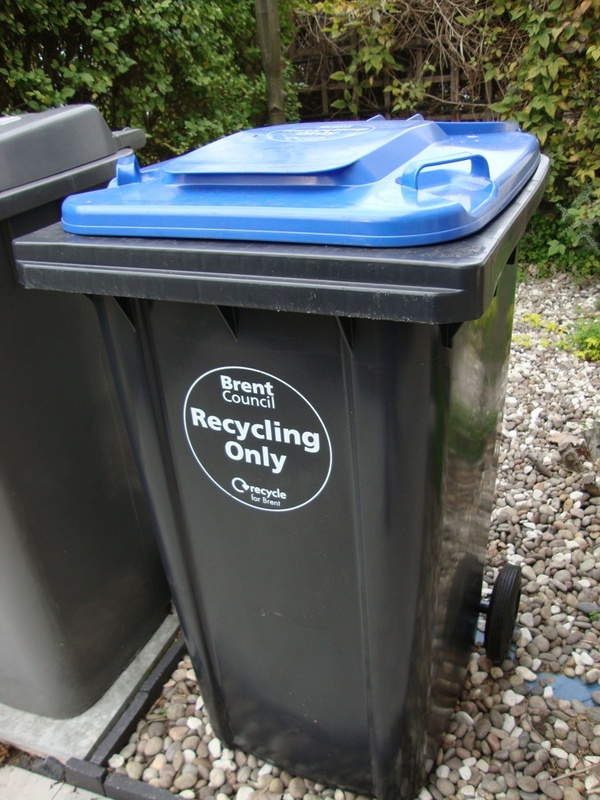 The problem with this is that unless you label them they’ll be left behind with a bossy Brent label telling you off for not recycling more! 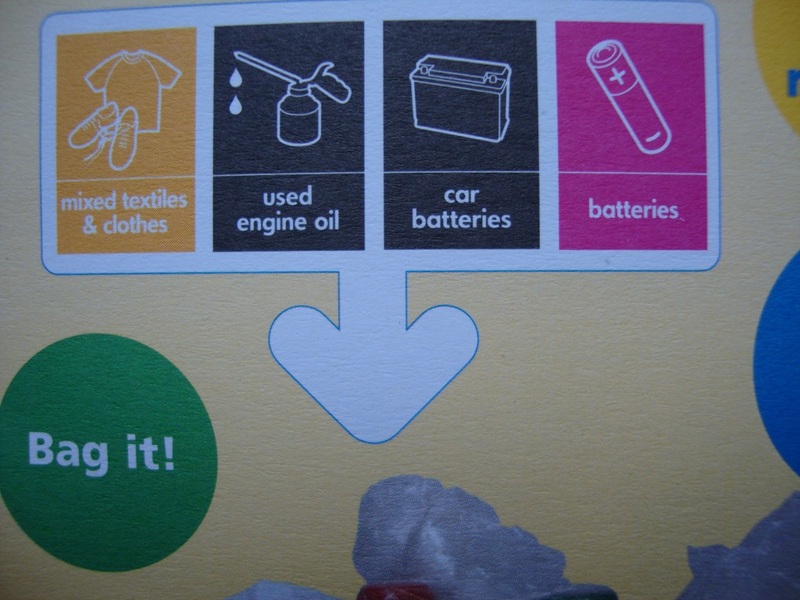 And how are we meant to leave a small bag of batteries? On top of the bin maybe? 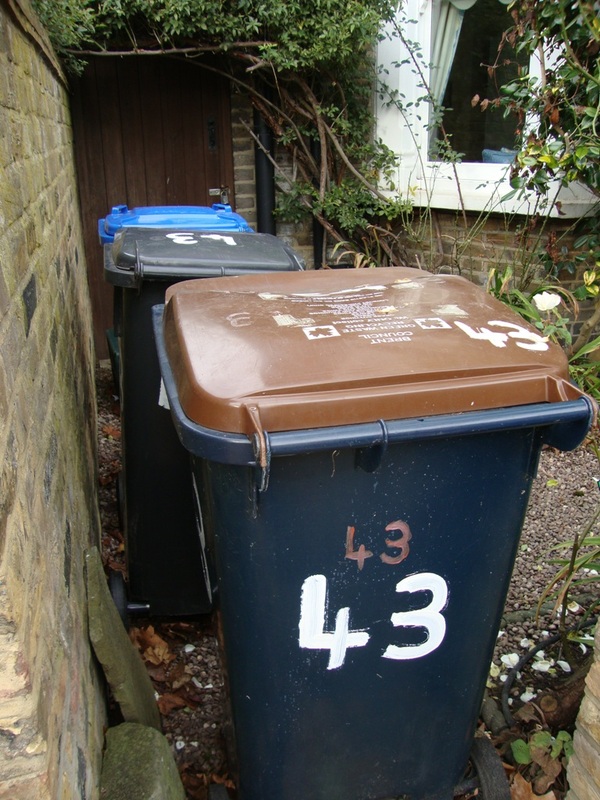 If you’re finding it a bit much housing three 240 litre bins in your front garden you can ask Brent for slim-line versions of the blue bin and the green (garden and food waste) bin.